Hot pink has been spotted on actresses Yun Eun-hye, far left, and Soh Yi-hyun, left, who appear in popular television dramas “I Miss You” on MBC and “Cheongdamdong Alice” on SBS. Tired of the classic red, isn't it ? The good news is that an alternative hue has emerged: hot pink. As if to mock the cold, the color brings a more flirty and playful feel, especially around the year-end party season. 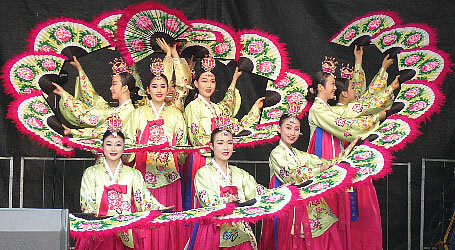 The color has been spotted on such celebrities as actresses Yun Eun-hye and Soh Yi-hyun who appear in popular television dramas “I Miss You” on MBC and “Cheongdamdong Alice” on SBS, and countless other stars have been wearing variations of it. The two play upper-class women who opt for bright, hot pink lips, often to offset a chic, monochromatic outfit. “One point makeup, which focuses on one part of the face, is a growing trend that will go on till next season, and hot pink lipsticks are surely one of the best ways,” said celebrity makeup artist Lee Kyung- min Wednesday in a telephone interview. It’s pretty simple to pull off hot pink lipstick, even for those who are not particularly familiar with makeup tools, and it’s an investment everyone will make good use of it till next spring. Except for the lips, everything else should be kept to a minimum, which means the eyes and skin should look as natural as possible. “Make sure your eye makeup is subdued and not competing with bright pink lips. So I suggest you try mascara without liner or trade dramatic shadows for neutral colors that blend with the skin tone,” said the beauty expert who runs a makeup studio in Cheongdam-dong in southern Seoul. Skipping lip liner will give the lips a more youthful appearance. Apply the color on the back of the hand before applying it to the lips with a brush, which will give a subtler effect. For those who want to enlarge the look of the lips, it’s better to apply a bit of dewy gloss in the center of the lower lip. The overall styling matters as well. The look shouldn’t be too matching so the hot pink lipstick can be too much if the same color is worn from head-to-toe. It should be used as an accessory to pull together outfits like a little black dress. However, some women with darker skin tones are still afraid of trying hot pink lipsticks because they believe it might look tacky. Among the wide variety of shades out there, NARS’s Schiap Lipstick is one of the best. 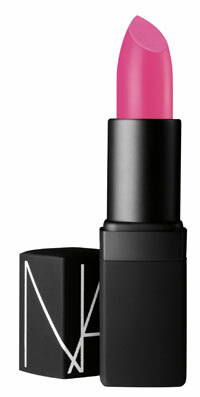 The product brings a bright, fuchsia-pink with a semi-matte finish. 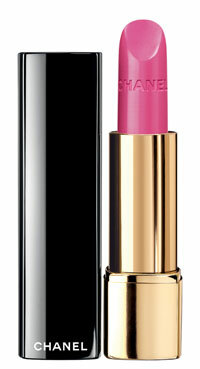 It also has a slightly glossy sheen that keeps the lips from drying out while keeping the true color. The product has been one of the most popular makeup items since it was featured in the two previously mentioned TV dramas. Other cool products to try include Giorgio Armani Lip Maestro 504, a liquid lipstick that is also available in 11 other colors, and Chanel Rouge Allure Le Rouge Intense 93 Exaltee. For those wanting a softer look, Dior Addict Lip Glow is ideal. It’s not exactly a lipstick and more towards a color-awakening lip balm that reacts to the moisture level of the lips that makes them appear rejuvenated, fresh and shiny.